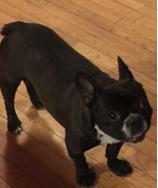 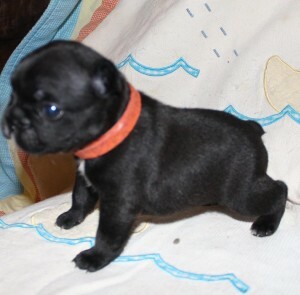 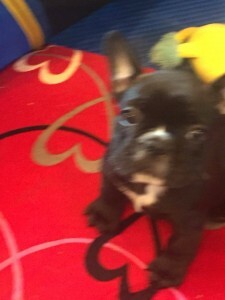 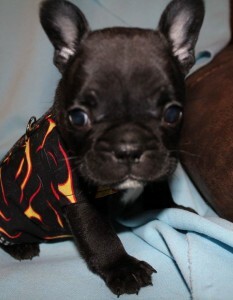 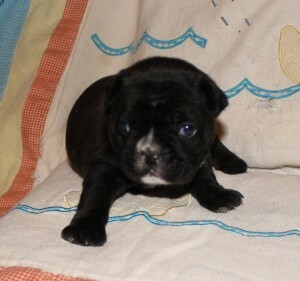 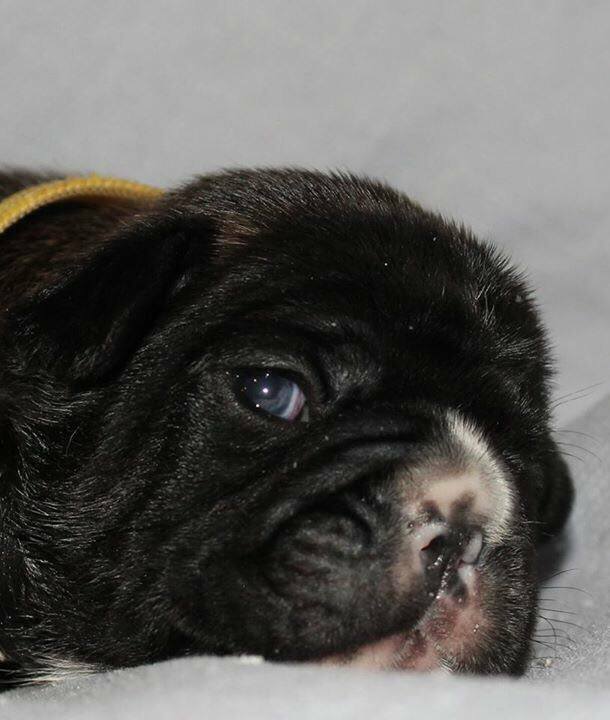 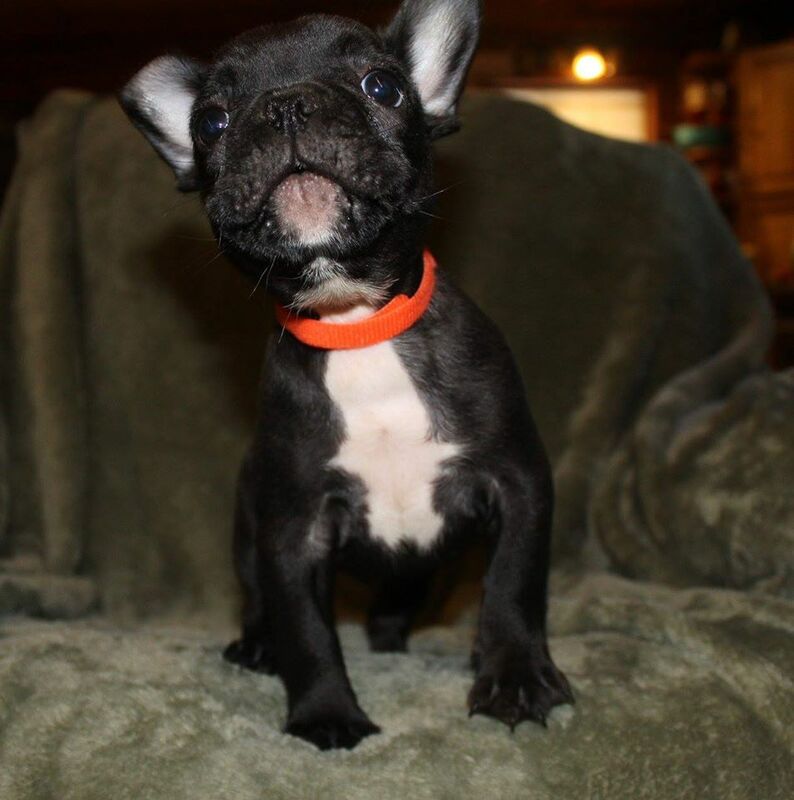 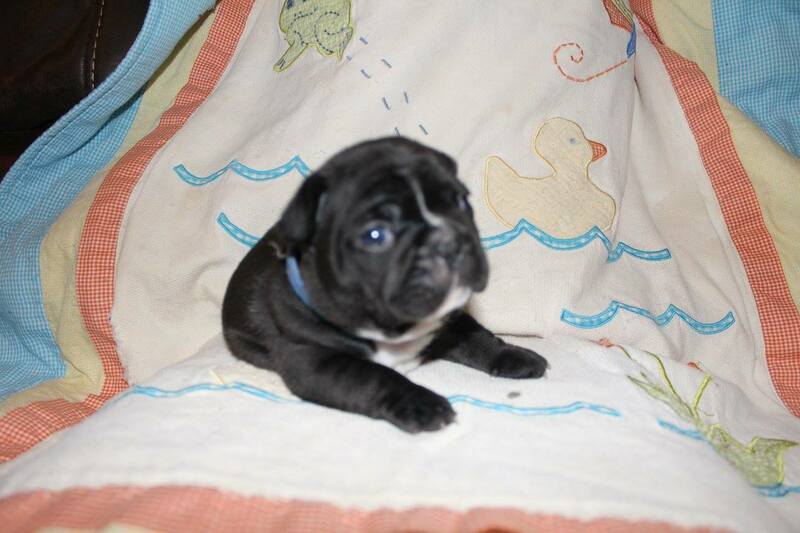 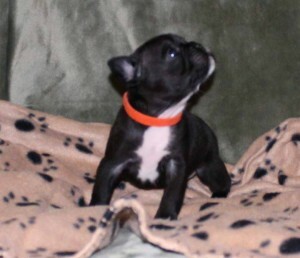 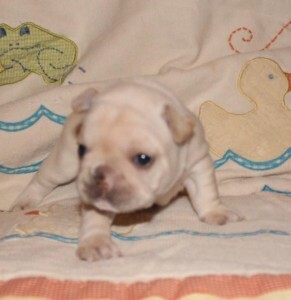 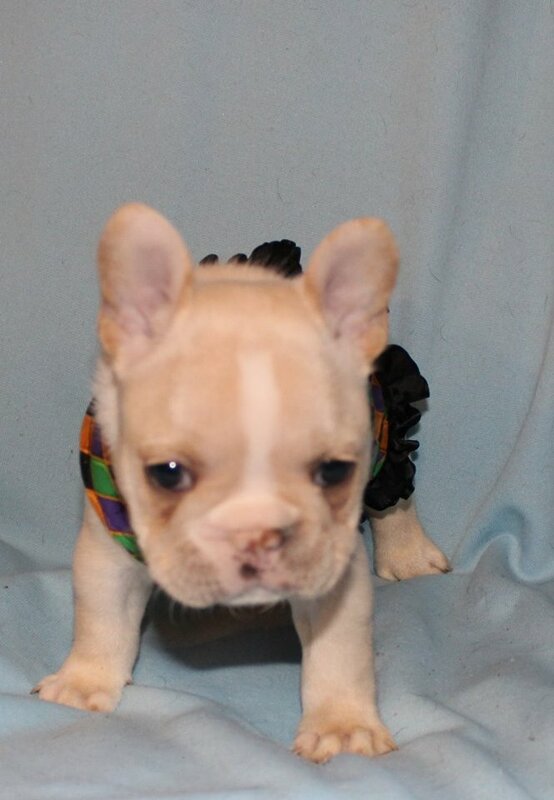 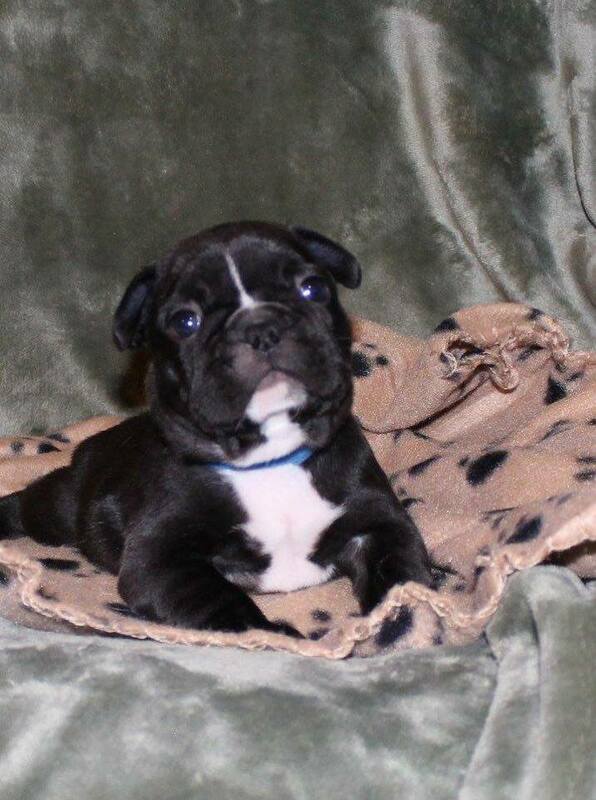 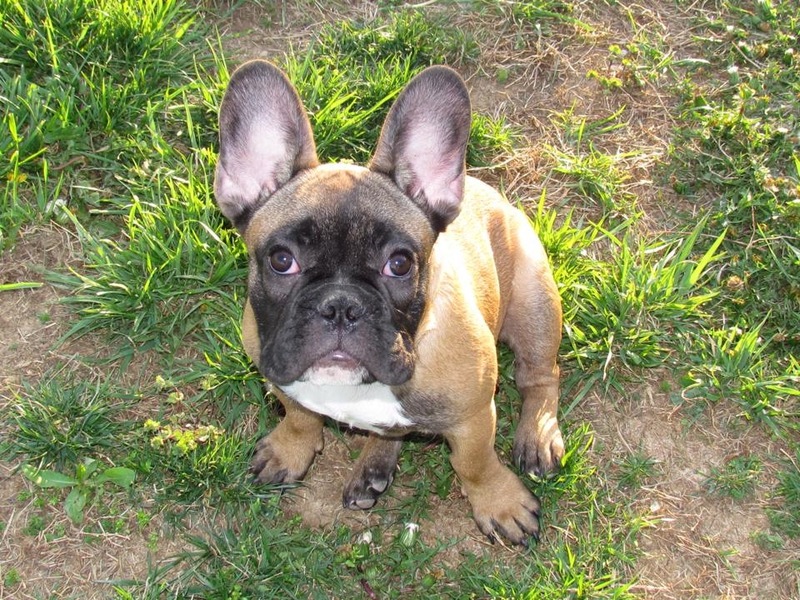 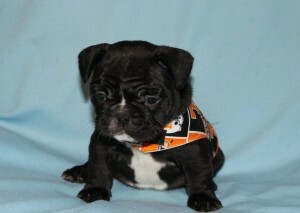 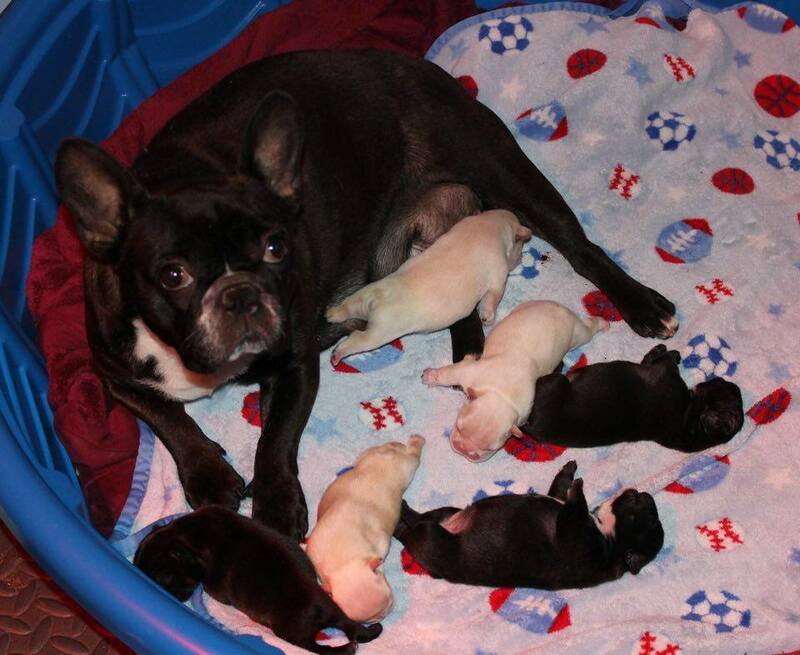 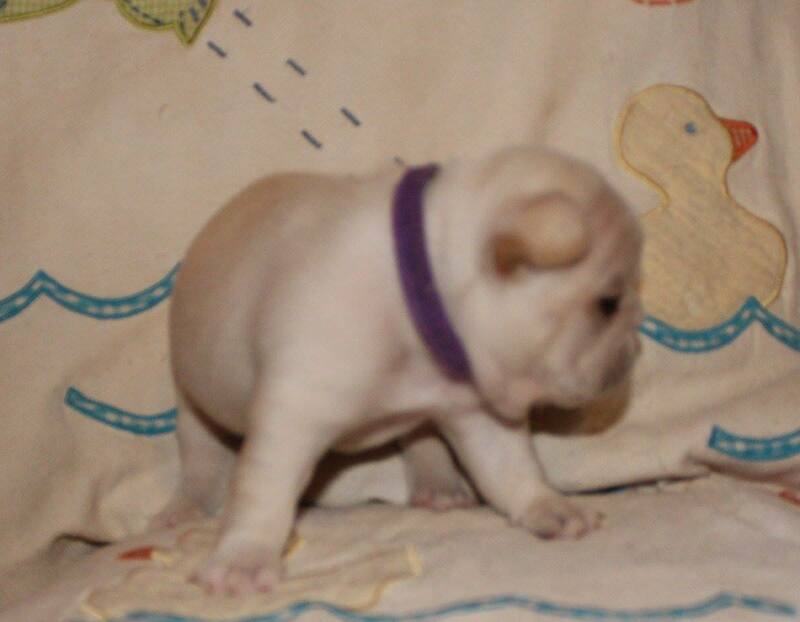 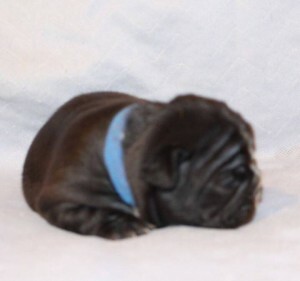 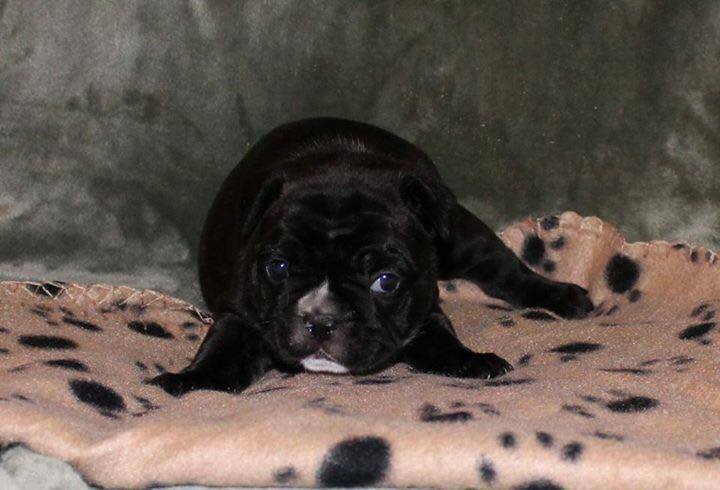 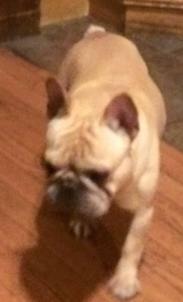 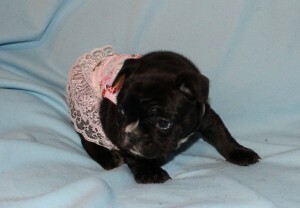 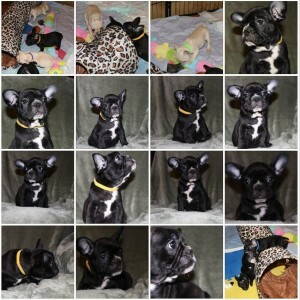 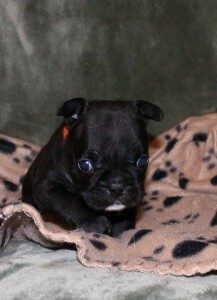 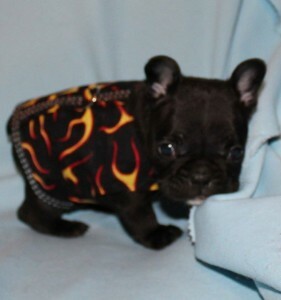 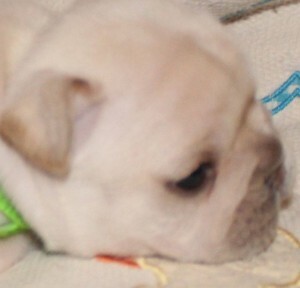 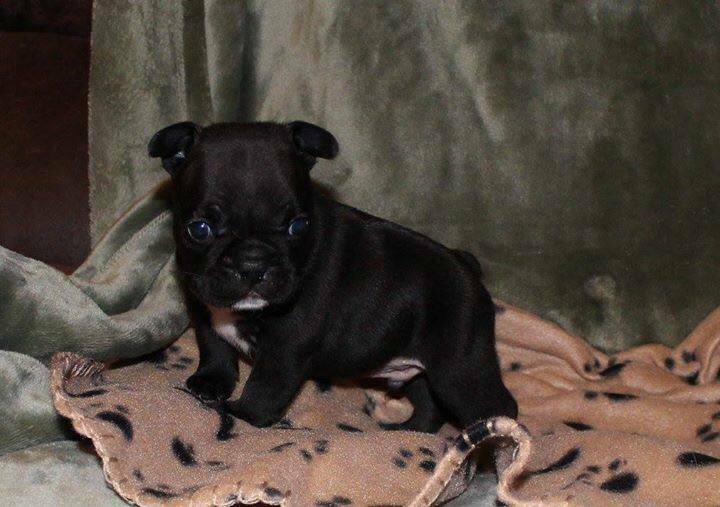 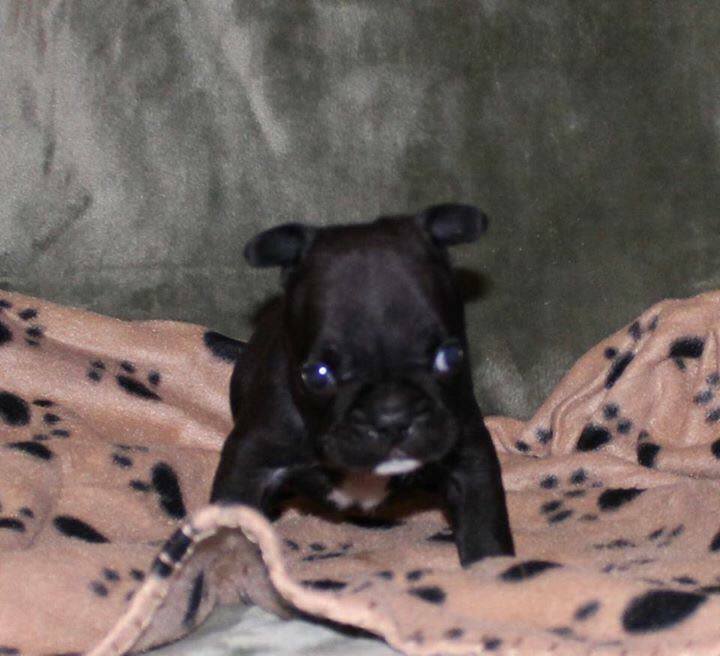 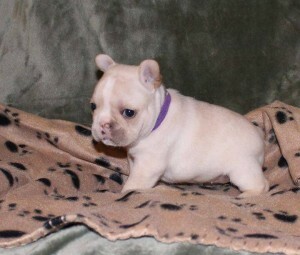 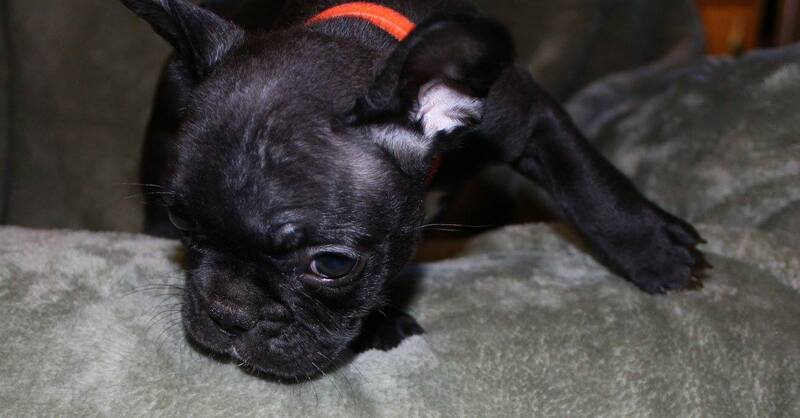 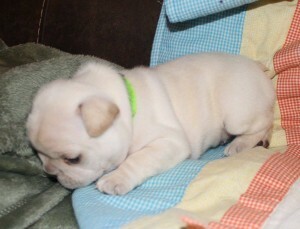 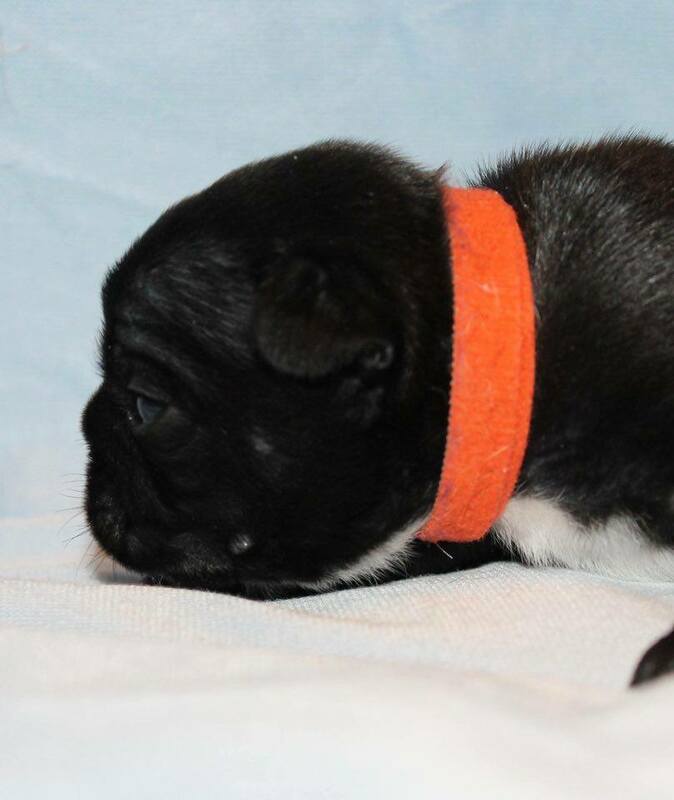 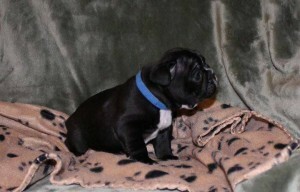 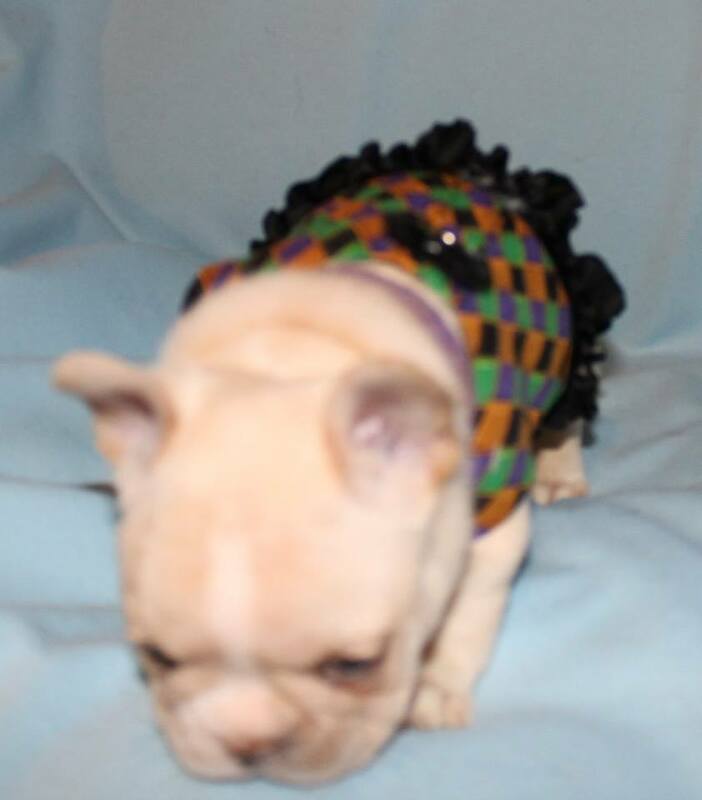 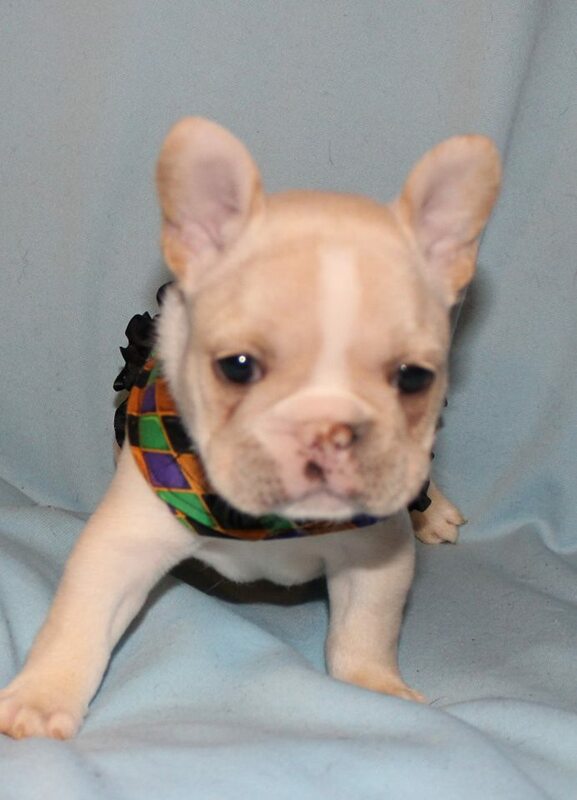 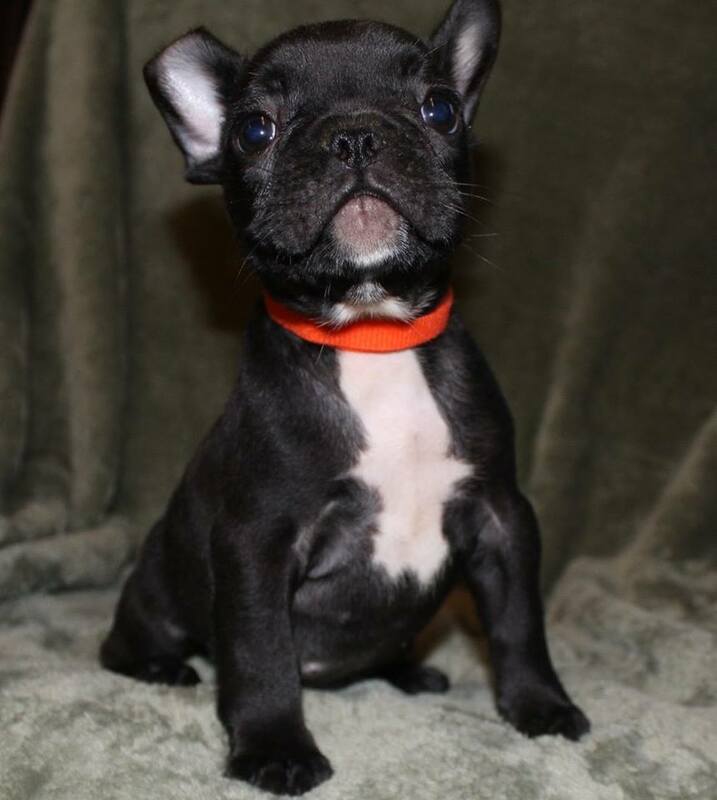 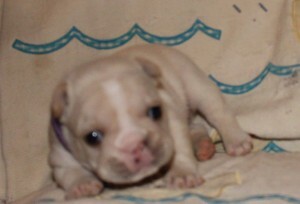 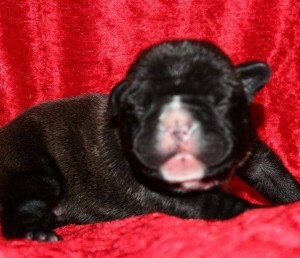 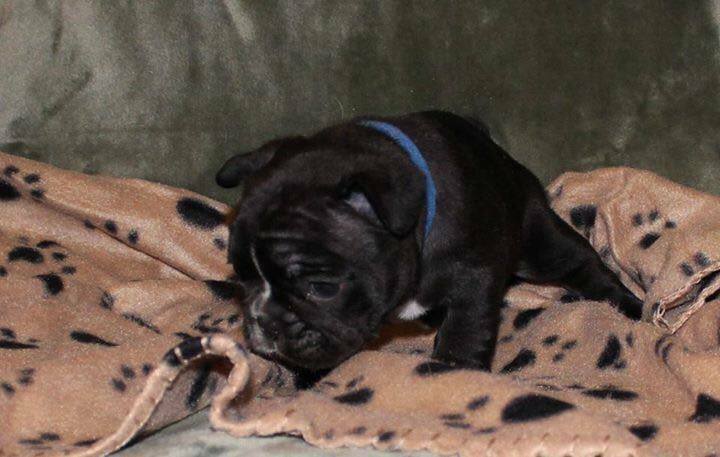 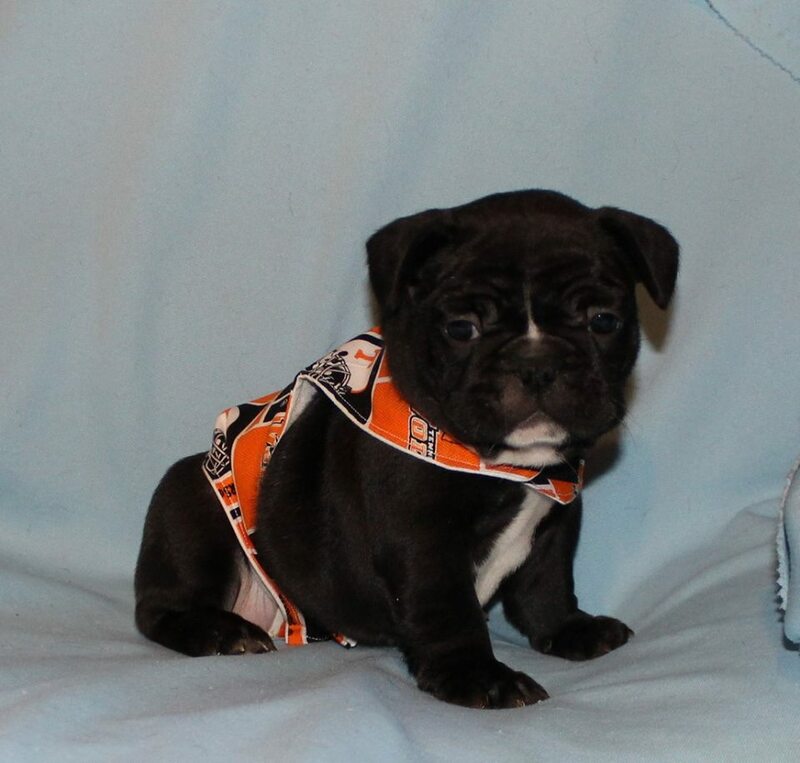 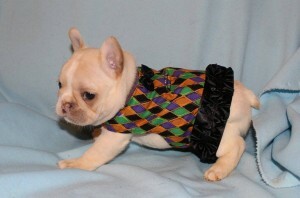 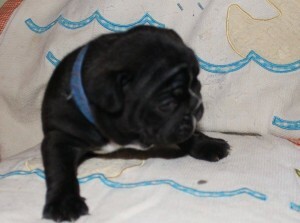 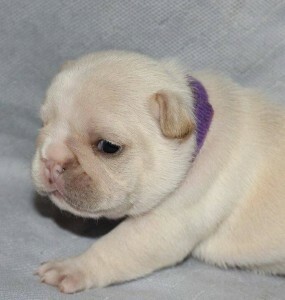 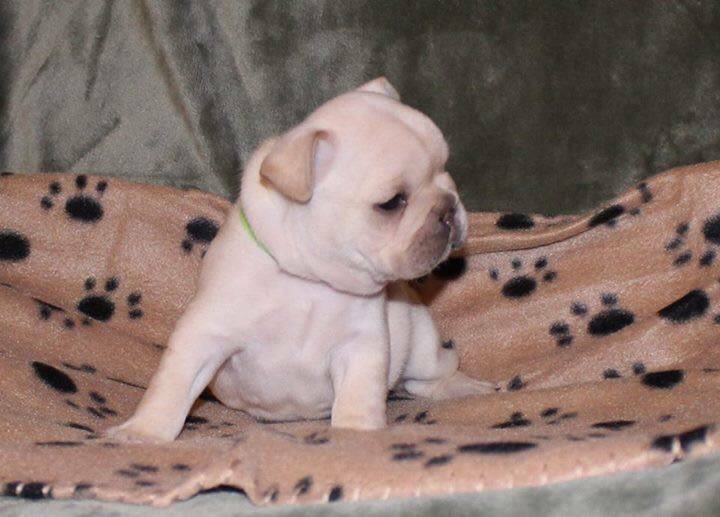 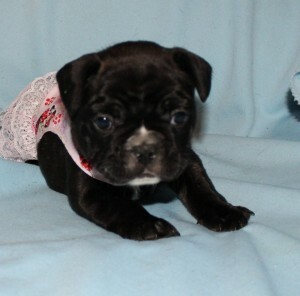 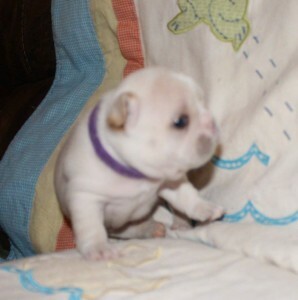 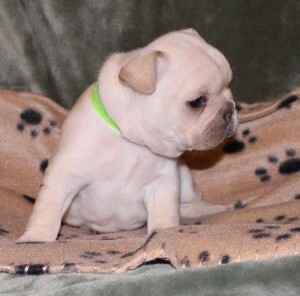 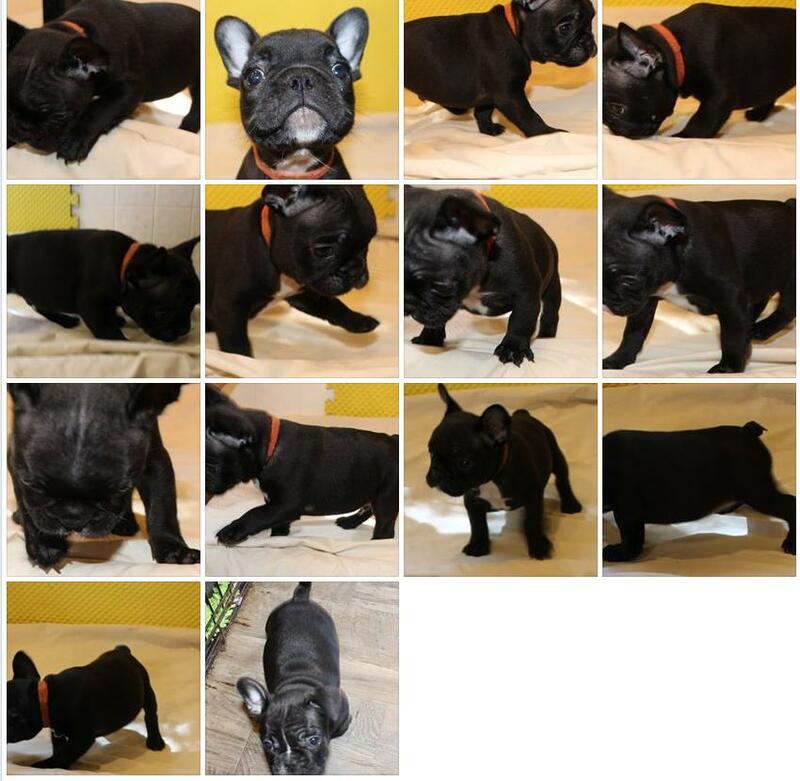 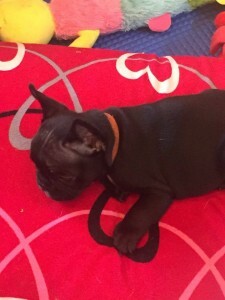 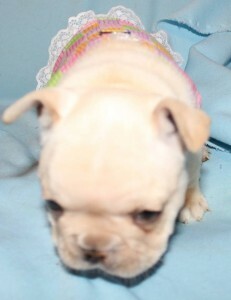 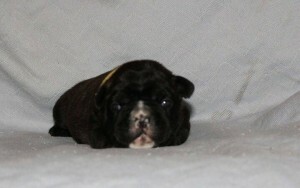 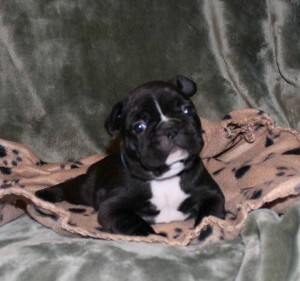 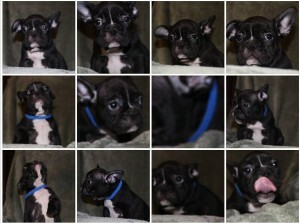 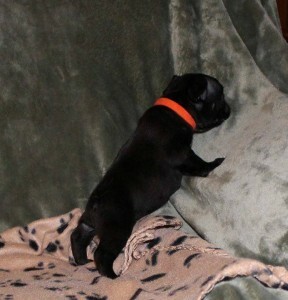 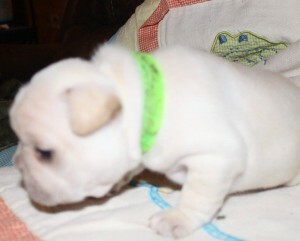 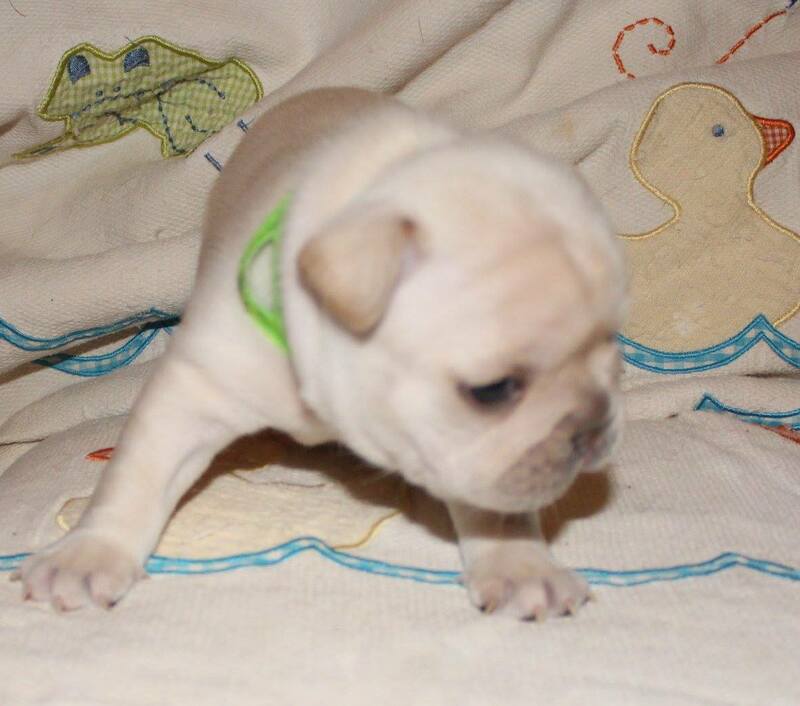 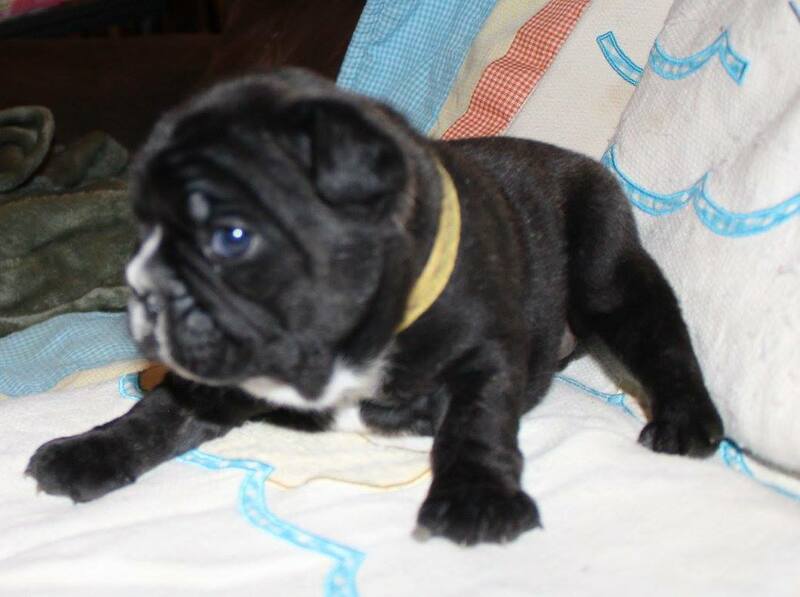 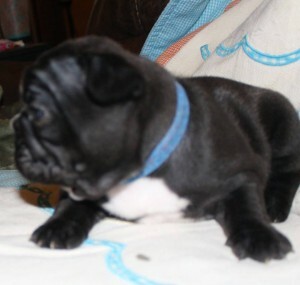 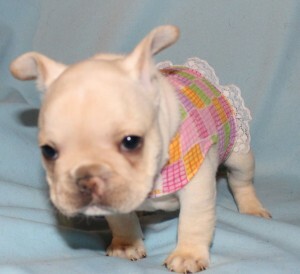 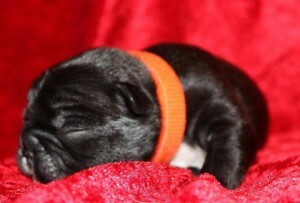 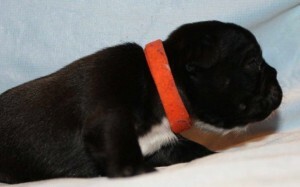 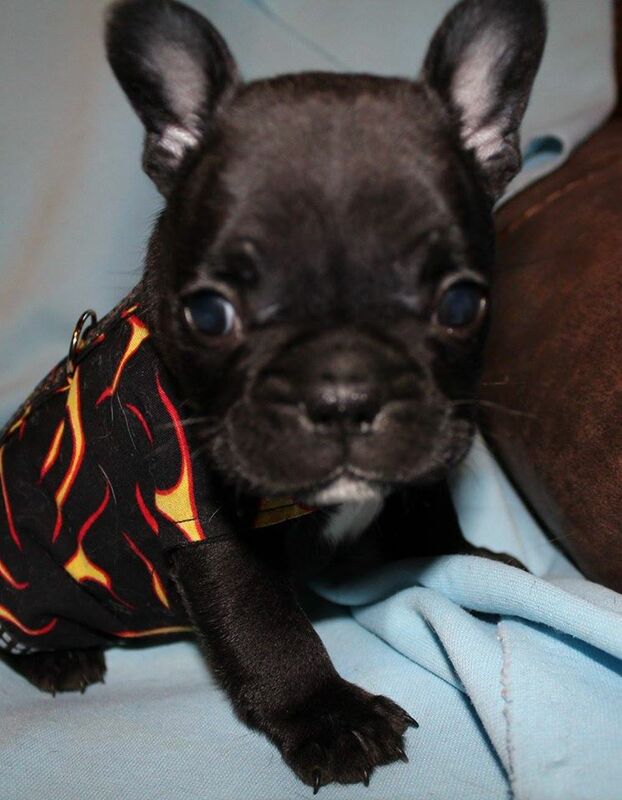 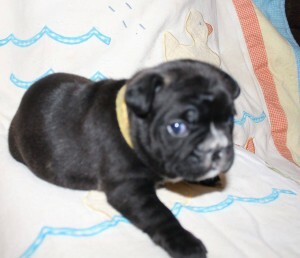 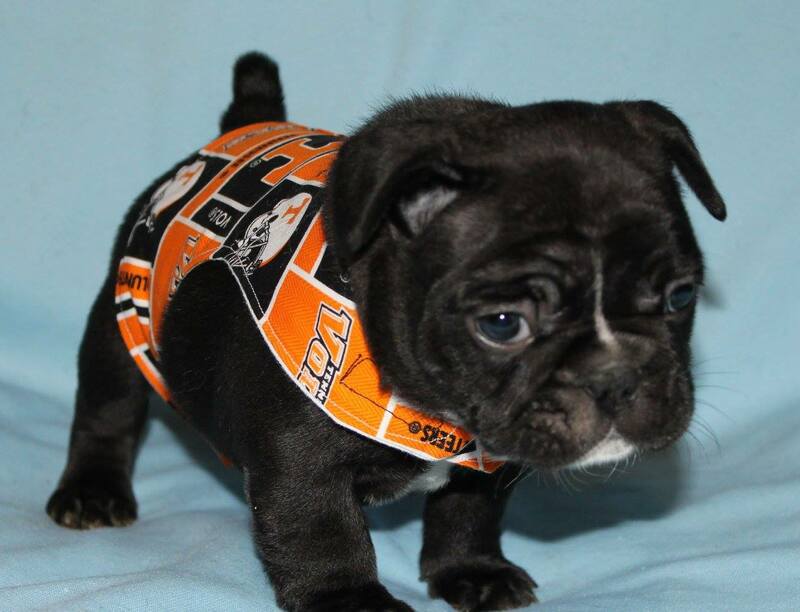 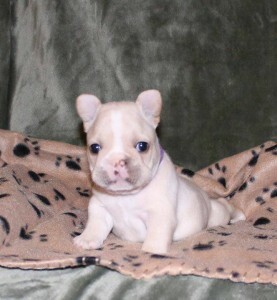 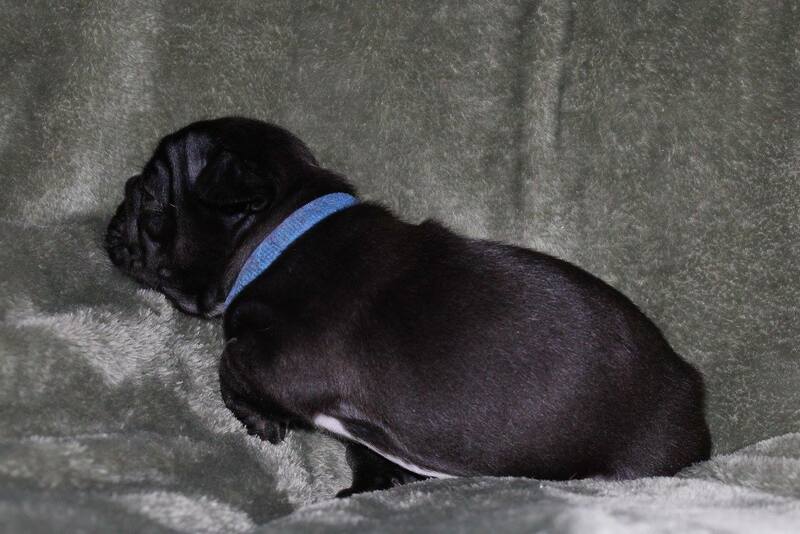 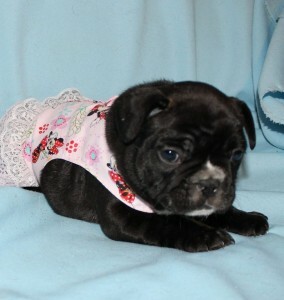 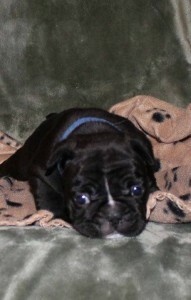 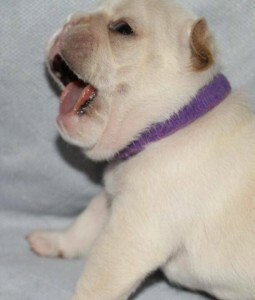 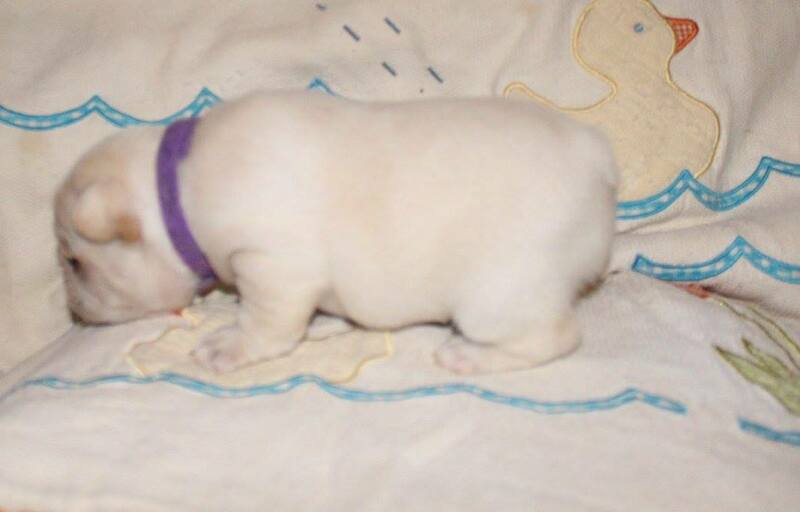 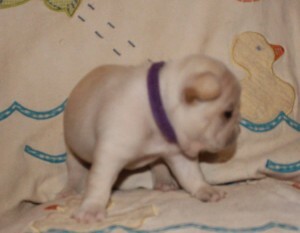 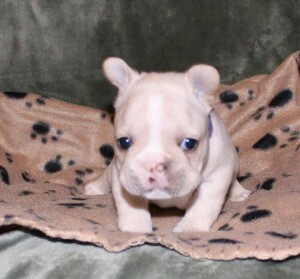 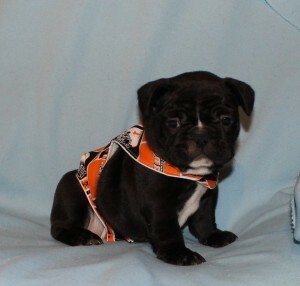 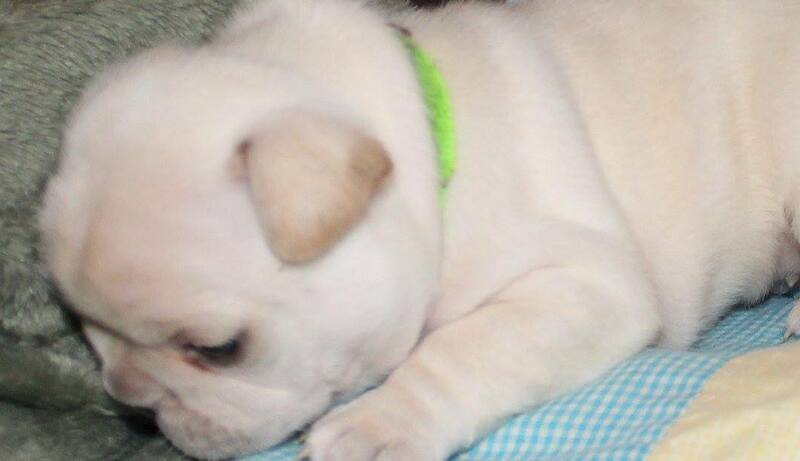 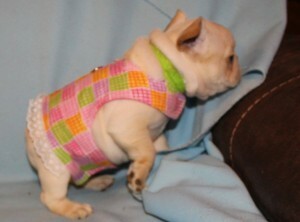 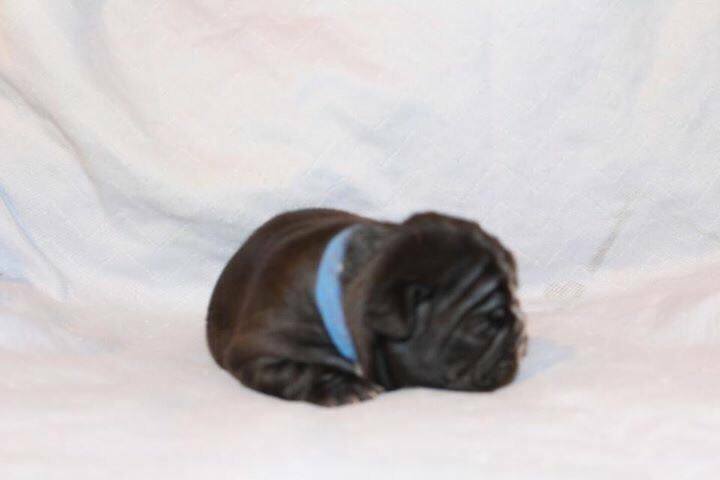 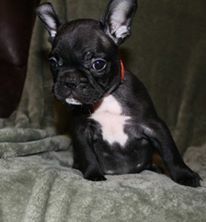 We have FRENCH bulldog puppies! 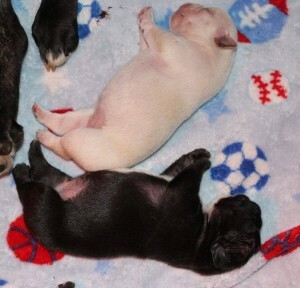 They were born May 25. 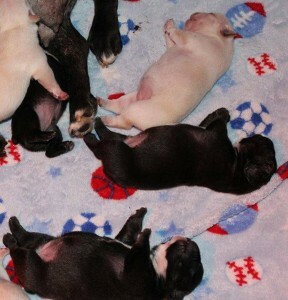 4 girls 2 boys! We will post individual pictures of these babies weekly starting around June 1 And will begin to accept deposits beginning June 3. 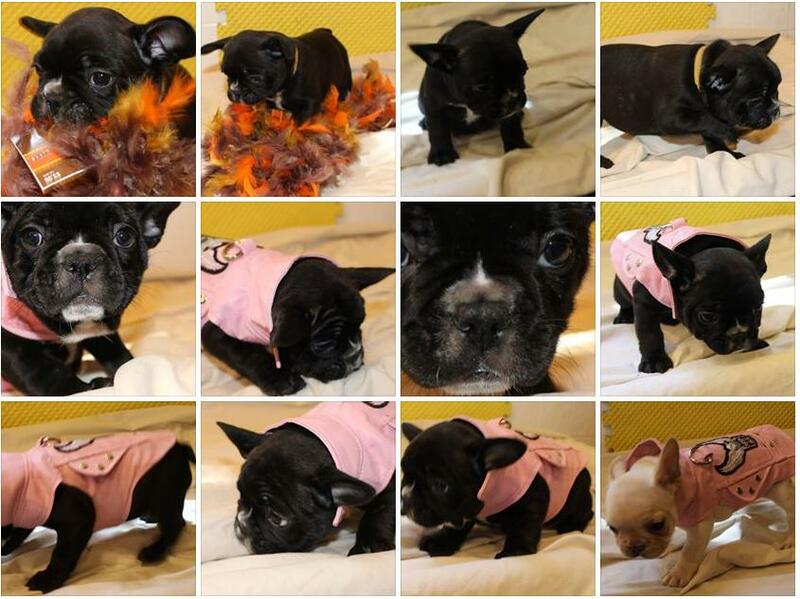 Check out our Facebook page for more frequent photo updates and videos. 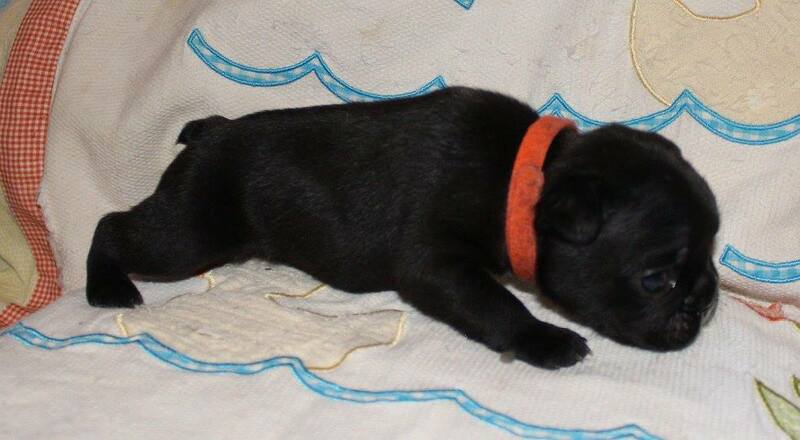 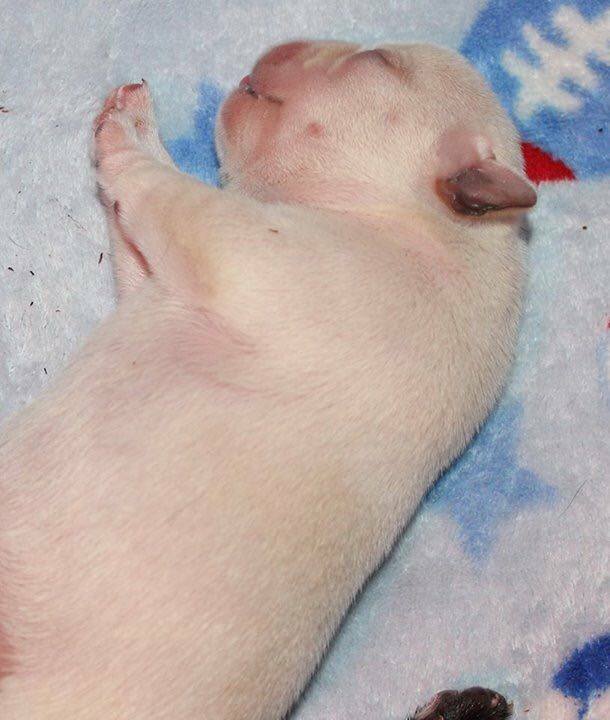 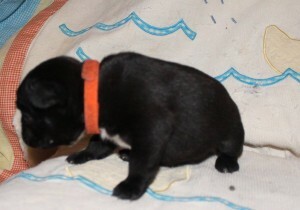 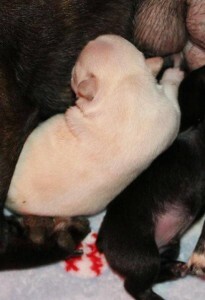 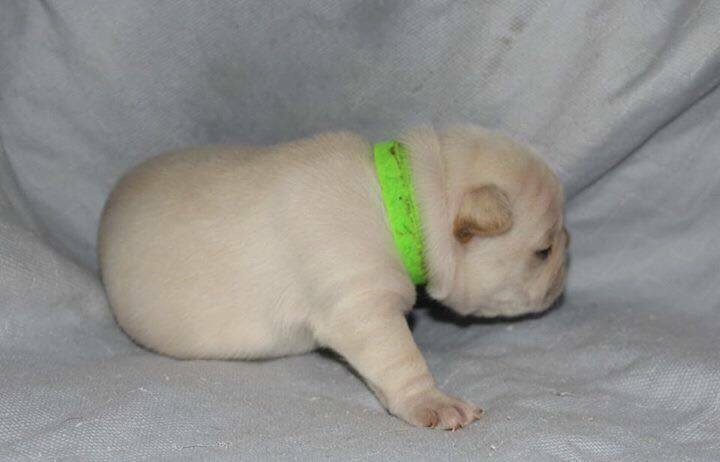 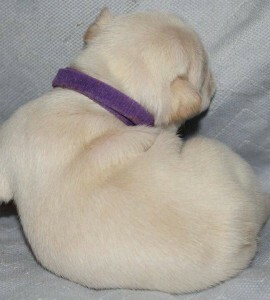 This is a dual sired litter. 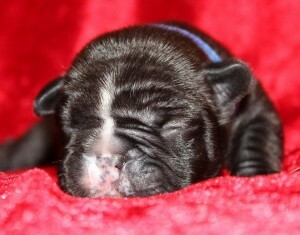 Sires are Invictus and Benji. 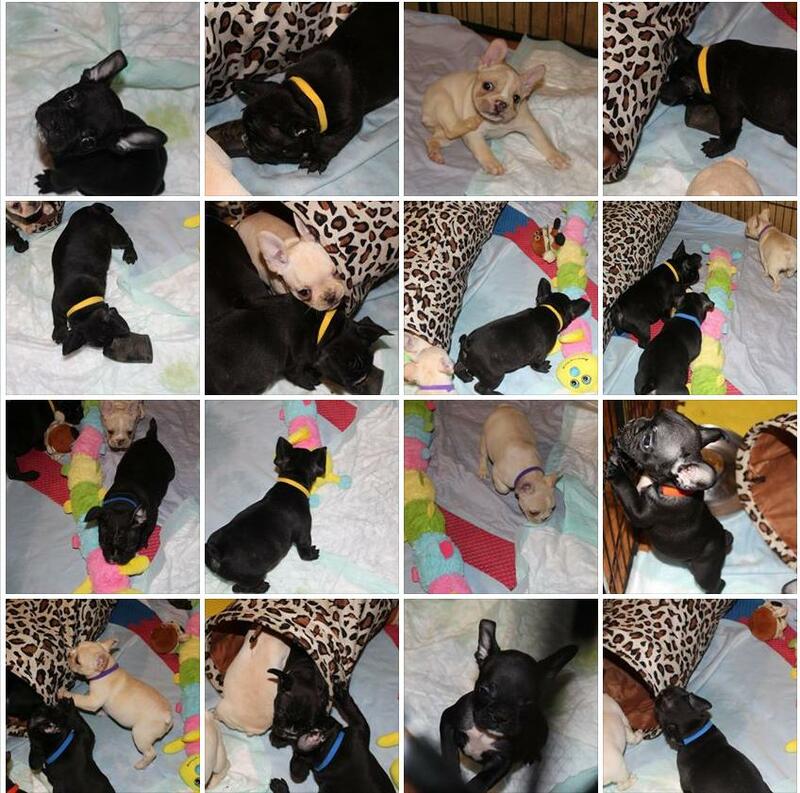 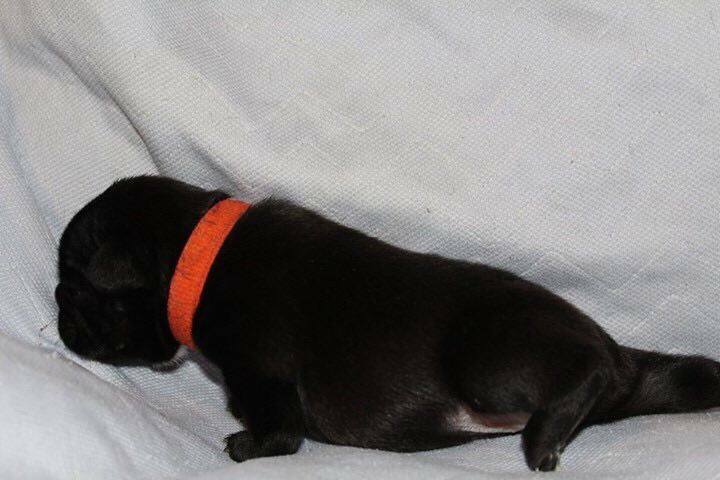 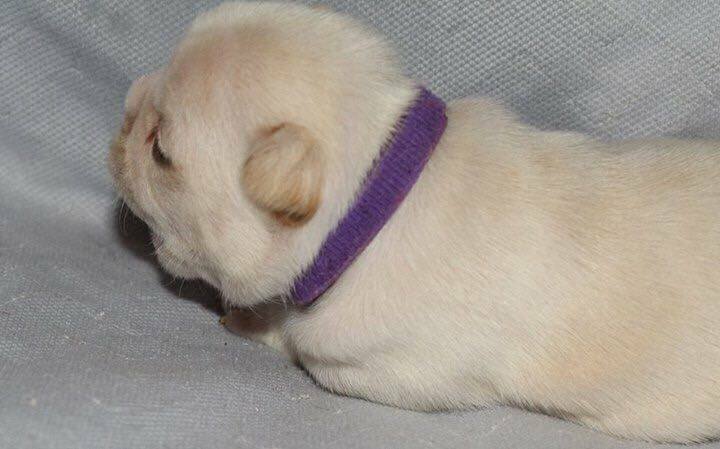 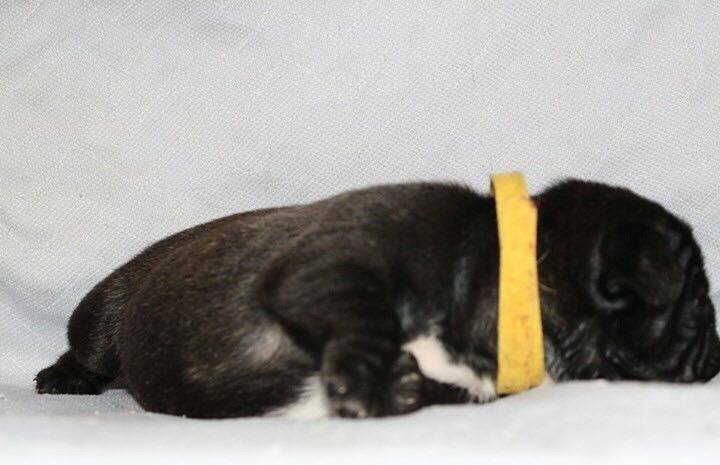 All puppies will be DNAd and the confirmed “who is your daddy” should be determined by the time the pups are 4 to 5 weeks of age. 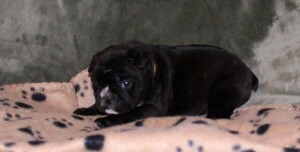 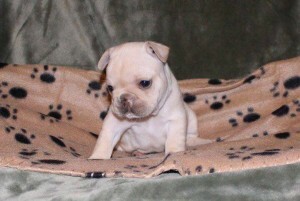 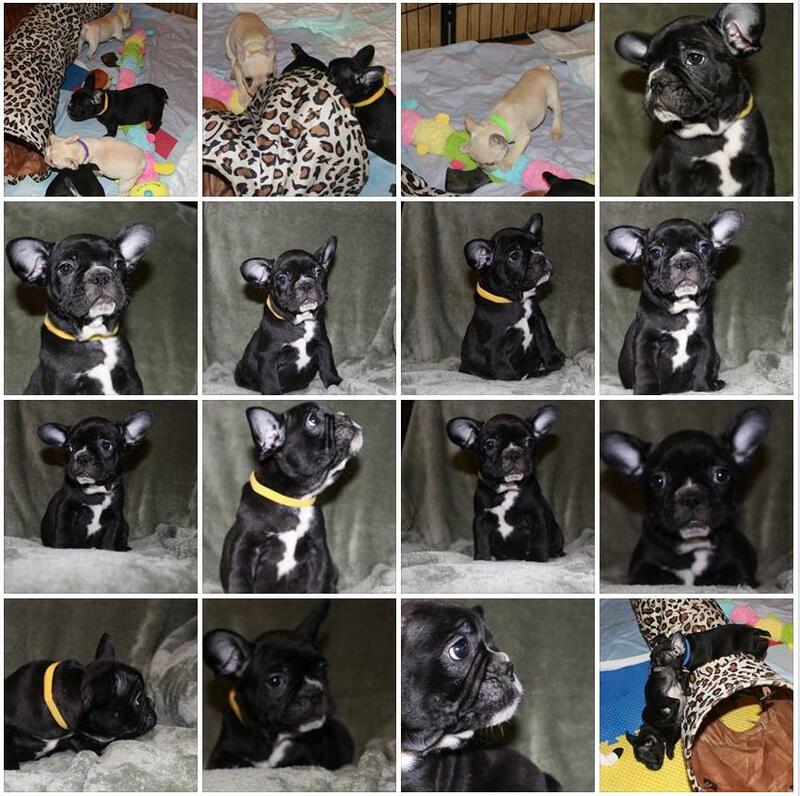 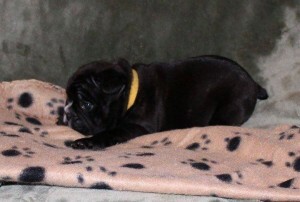 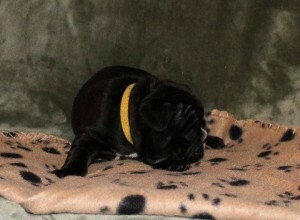 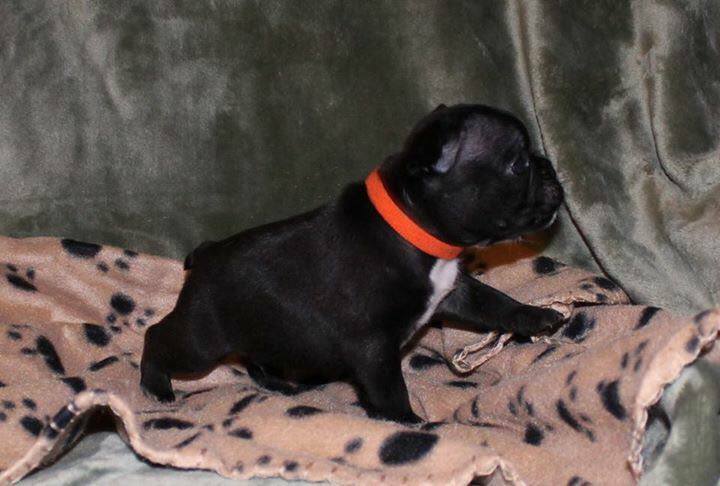 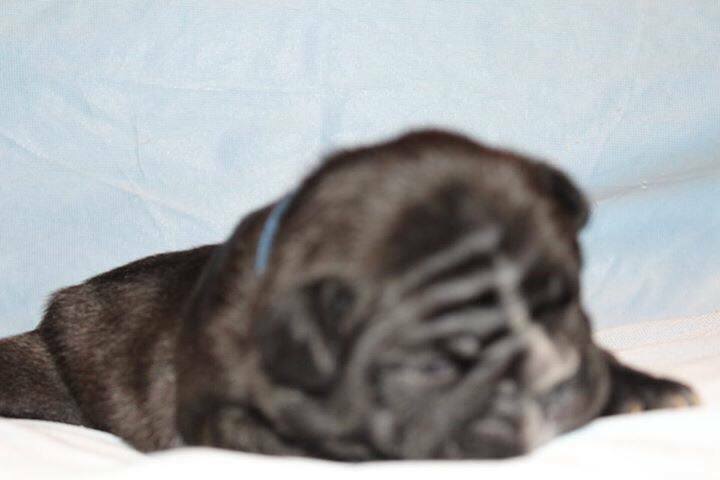 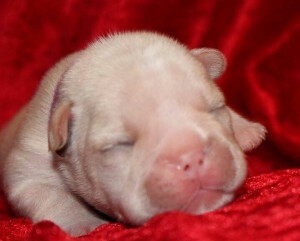 If interested in this breeding please complete our waiting list form. 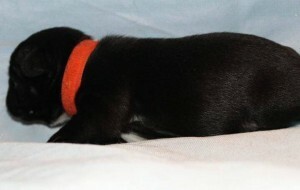 Sam-Orange collar is a male and is looking for his forever home. 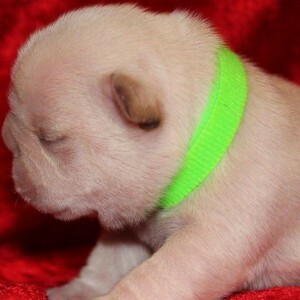 Sam in the red collar shown here is still available!